Did you know that, according to Reader’s Digest, the average American uses between 80 and 100 gallons of water a day? Or that about 2.03 million tonnes of solid waste was recovered in Hong Kong in 2015; 2% was recycled locally and 98% was exported to the Mainland and other countries for recycling. And, recently, The European Union (EU) has decided to reduce 20% of its energy consumption by 2020. Earth Day is an annual global event that is celebrated on 22nd April and its purpose is to demonstrate support for environmental protection. 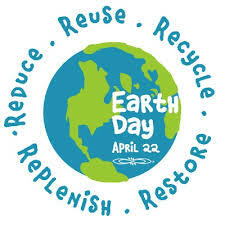 Earth Day is coming up soon and there are many different ways that you can contribute to reduce our eco-footprint. Click here to be informed with the different activities you can be involved with. It is a matter of getting involved and taking small steps to reduce your impact on what is currently our only home. And then, of course, continue these actions everyday!